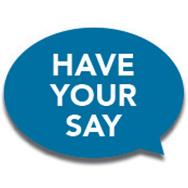 You still have time to have a say on the draft planning schemes! The Gold Coast City Council have extended the closing date for submissions on the draft planning scheme from 29 July 2014 until 20 August 2014. The closing date for submissions for Moreton Bay Regional Council’s draft planning scheme has also been extended from 15 August 2014 until 31 August 2014. Jensen Bowers have undertaken detailed reviews of the Gold Coast City and Moreton Bay Regional Councils’ draft Planning Schemes and are well positioned to use our working knowledge and 100+ years of property development experience to best represent your interests. Call 07 3852 1771 and speak to one of our experienced Town Planners and Development Advisors today to discuss how the Draft Planning Schemes will affect you and how you could benefit from working with Jensen Bowers to assist your submission to Council.